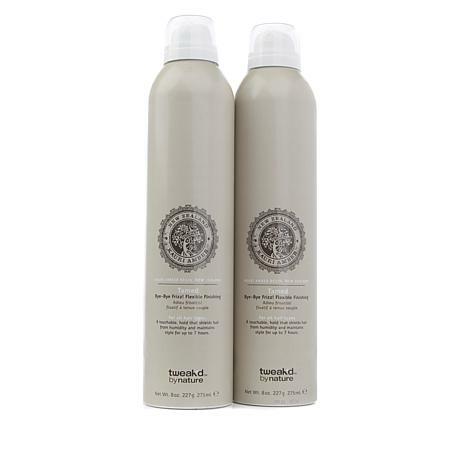 A clear lightweight, flexible-hold with a moisture-repelling formula which includes micronized fibers that adheres to the hair, which helps to combat frizz and flyways, and leaves a vanilla bean and black orchid scent. This is the best hair spray. It makes my hair full and soft. It smells great. No stiffness or tacky. Just love it! This is the holy grail of hair sprays! So frustrating trying to find the PERFECT hair spray & here it is! It does exactly what Dennis describes...not sticky, doesn't make your hair crunchy. Nice light spray that holds & smells so nice. So many broken promises from other vendors on their products but Dennis has earned my trust! Good ingredients too. Only downside is the price but I plan to watch for the bogo specials. Really like that overspray is not sticky or smelly. Very pleasant with a soft med hold. This is a nice lightweight spray. I don't think it helps with frizz but it is light and doesn't make hair sticky. Worth a try if you like a very light hold.